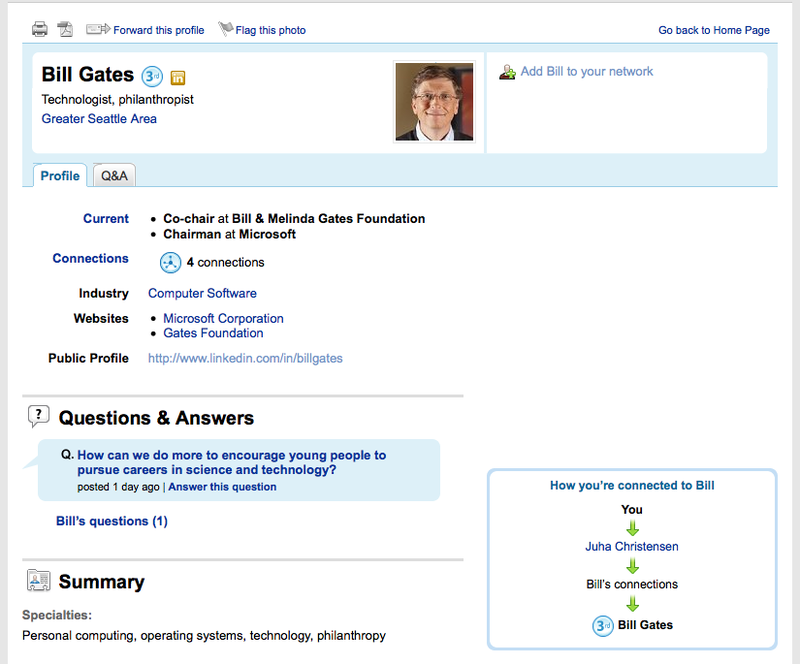 Apparently Bill Gates recently deleted his Facebook profile, I can’t say I blame him, and is now using LinkedIn as his social network of choice. 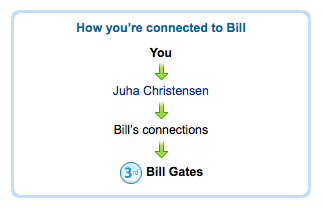 True to the six degrees of separation theory I am only three degrees away from Bill; I wonder if I should add him to my network? LinkedIn is by far the best network site out there; I’ve got back in touch with old friends and had many interesting conversations regarding possible jobs via LinkedIn. If you’re not on there then sign up now – Facebook is so 2007.